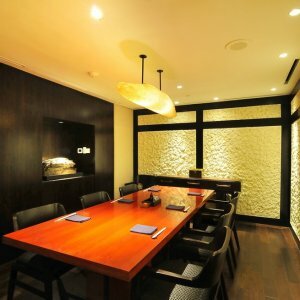 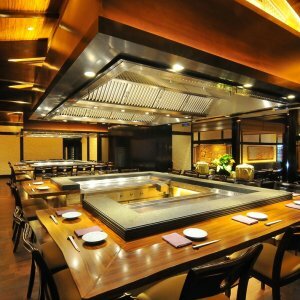 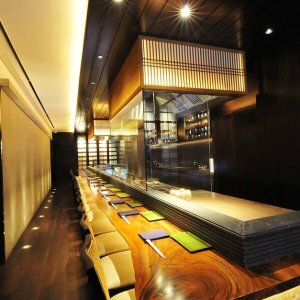 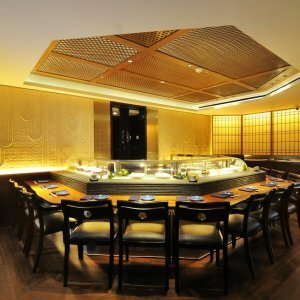 The 707-square-metre restaurant, equipped with a sushi bar, a tempura counter, teppanyaki counters, private rooms, and main dining room, is furnished with rattan ceiling, solid wood ceiling, Biowood ceiling, gypsum ceiling, decorative wood screens, textured walls, wallpaper, metal panels, stone artwork, shoji paper, solid walnut flooring, ceramic flooring, and etc. 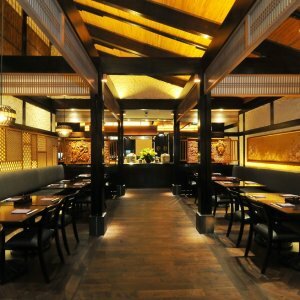 The project had to be done in phases within a span of eight months as the restaurant was still in operation during the day and work had to be carried out only at night. 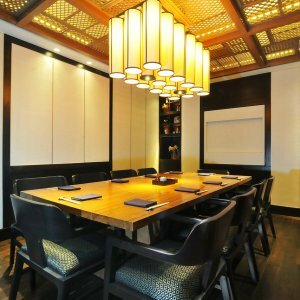 Throughout the project, the Harjaguna team on site worked closely with the consultant and owner to tackle on-site challenges. 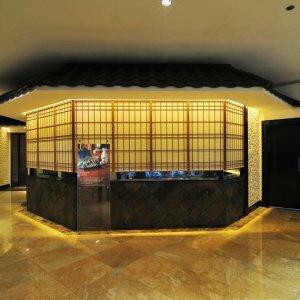 MEP work was a challenge for the project team on site, as the as-built/record drawings were not available, causing much of the planning had to be modified and adjusted along the way. 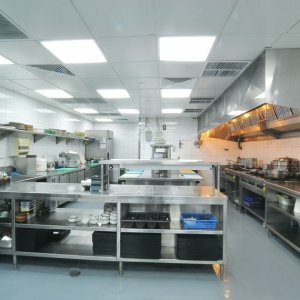 The MEP scope included, among others, replacing the existing electric panels, air conditioning, lighting, and ducting, installing new exhaust hoods, modifying and updating sprinklers, electrical wires, and the electronic system.